Tina started working at the Ziegenfelder Company five years ago. Tina initially accepted a position working in the logistics department. Supervisors quickly saw that Tina had skills and past experience related to finance. 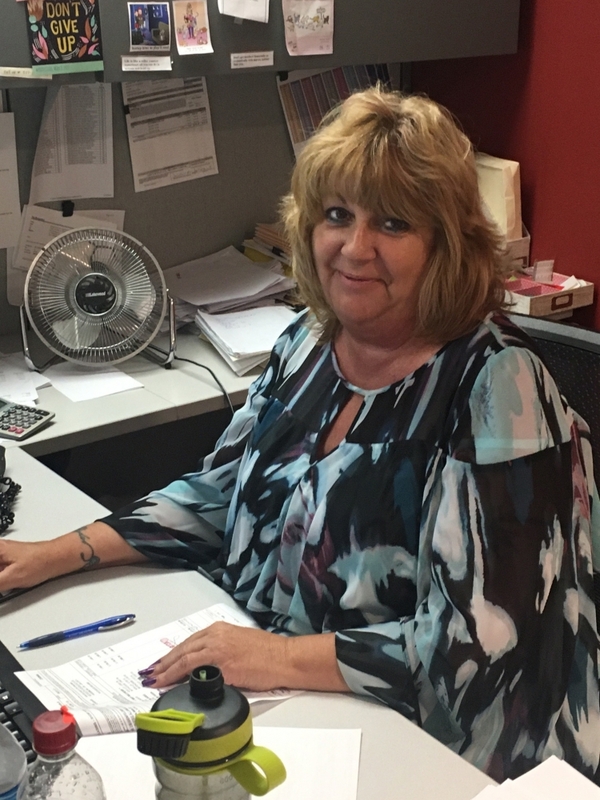 After working at The Ziegenfelder Company for less than two months, Tina was offered a position as the Electronic Data Interchange Coordinator. She jumped on the opportunity to learn something new. “If you do something wrong, the mapping is wrong. So that was scary. It required a lot of responsibility,” said Tina as she worked to explain details about her job. As the Electronic Data Interchange Coordinator, Tina must make sure the customer information and orders in the computer system are processed correctly. Her job helps ensure seamless billing, payment and delivery of all orders that are run through the Electronic Data Interchange. The program helps manage the cash inflow to the company so that all departments are able to run effectively. Along with successfully overcoming the challenges of learning new job skills, Tina also overcame the biggest personal challenge of her life while working at The Ziegenfelder Company. In 2013, Tina lost Lyle, her husband of 11 years, after he suffered a heart attack. Tina said she got the news that something was wrong while she was on the job. When asked about her free time, Tina explained that she likes spending time with her daughter and her 7-year-old grandson who both live with her. She described her grandson as very smart and even remembers lessons taught to him by her husband when her grandson was only 3-years-old. While talking about family, Tina stressed that her Zieggy Tribe is her extended family, providing her with support she has never found working anywhere else.